Heat oven to 375°F. 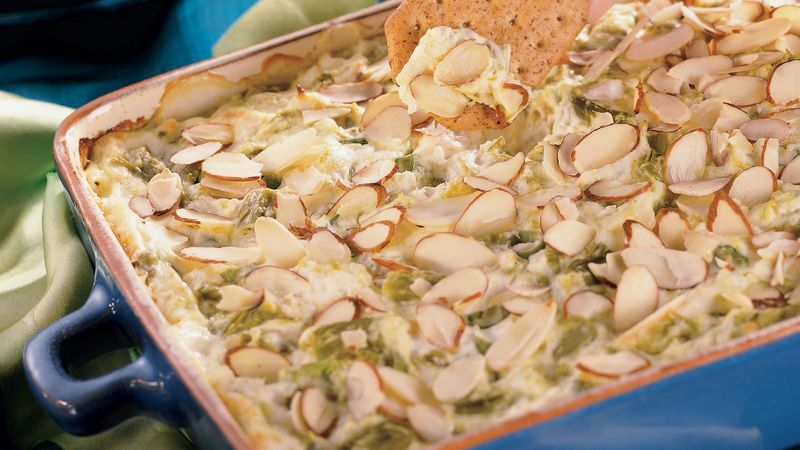 In medium bowl, combine sour cream, cream cheese and asparagus; blend well. Add cheese, onions, horseradish, mustard and crabmeat; mix well. Spread evenly in ungreased 1-quart baking dish. Sprinkle with almonds. Bake at 375°F. for 20 to 25 minutes or until thoroughly heated. Serve warm with assorted crackers and cut-up fresh vegetables.